The sun is setting on my first week in Phuket. We’ve found a house, had a little explore and everything is in order for my first day at my new school tomorrow. I have spent the week with one of my best friends who stopped over for the week on her way from Australia back to the UK. We’ve been basically camping in the new house as we haven’t organised moving the furniture up from Hat Yai yet (the one major thing still left to sort out…). As I had a week off to move house we took the opportunity to be tourists for a while, having a little explore of the south of the island, visiting some beaches, the Big Buddha, eating lots of Thai food (which I am falling back in love with all over again) and even spending the night boozing on Bangla road (had to be done) and passing out in what is probably the cheapest hostel in Patong! My camera is back in Hat Yai so photos were limited to my iPhone (which didn’t come out in Patong with us) and what I could steal from Helen, but here are a few snapshots of what I got up to in my first week in Phuket. First day of school tomorrow – wish me luck! Posted on March 9, 2014 October 11, 2014 by cornishkyliePosted in Day to day life, Expat life, Phuket, TravelTagged phuket, TEFL, Thailand, travel, travelling. 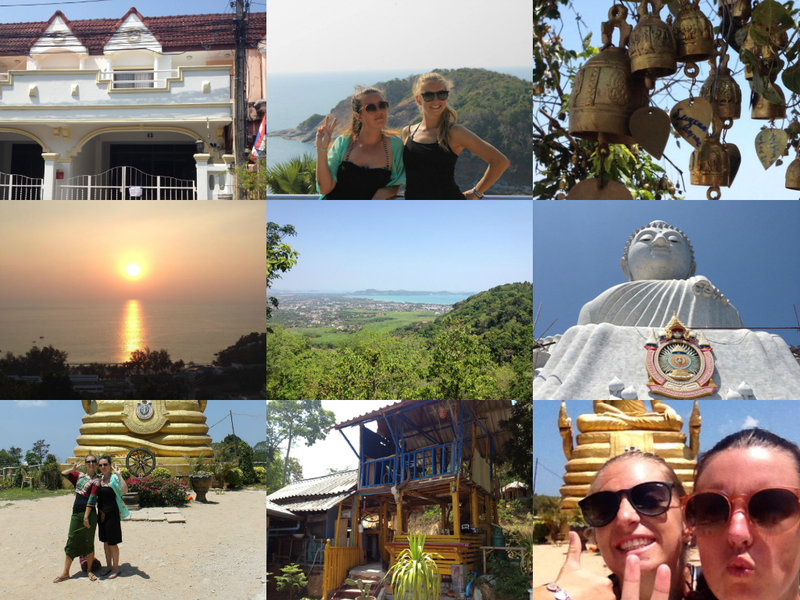 Previous Previous post: House hunting in Phuket – success! Good luck tomorrow. it looks like you saw some beautiful places in your week off. I will get a holiday before my next teaching stint too. My daughter has booked flights to Bali for ten days starting just before Easter and I really am looking forward to being there and exploring with her. Thank you, and enjoy Bali – it’s definitely a place on my ‘to visit’ list!